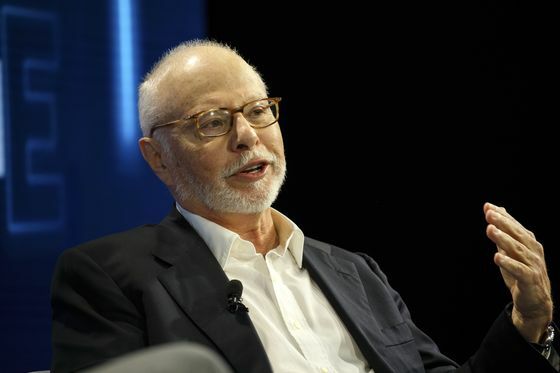 (Bloomberg) -- A wave of shareholder activists led by billionaire Paul Singer’s Elliott Management Corp. are pushing to reform South Korea’s powerful conglomerates, and that may hurt debt investors. The worry is that companies such as Hyundai Motor Co., Hyundai Mobis Co. and SK Innovation Co. are reducing assets available to repay debt holders while improving shareholder returns with steps such as stock buy-backs. That could make firms more vulnerable to credit downgrades, at a time when a slower domestic economy and weaker global demand are already taking a toll, according to S&P Global Ratings. “There’s a conflict of interest between shareholders and creditors in some ways,” JunHong Park, a director of corporate ratings at S&P, said in a phone interview from Hong Kong. For firms, “increasing shareholder returns can place an additional burden on their already-pressured ratings under the circumstances, with their operating performance weakening,” he said. Activists such as Singer are trying to squeeze more returns out of Korea’s stock market, which has some of the world’s lowest valuations in a corporate sector that’s riddled with governance failures. His calls for change have triggered a wave of homegrown activism and turned shareholder returns into a national talking point. Activist investors have publicly targeted at least five tightly controlled conglomerates since Singer took aim at Samsung Group four years ago. Three of the campaigns have resulted in at least partial changes, according to data compiled by Bloomberg. Including companies that aren’t family-run conglomerates, activists targeted 12 South Korean businesses last year, up from none in 2013, according to figures from Activist Insight, a London-based research firm. Their efforts may not be all bad from a credit market perspective. Steps to increase profitability and productivity as well as strengthening corporate governance are positive factors, according to Korea Investors Service. One local activist fund called Korea Corporate Governance Improvement is even specifically calling on some Hanjin Group companies to bolster their credit ratings. But there’s concern that activists are most interested in quick steps to increase shareholder returns such as more dividends and share buybacks, leaving fewer company resources for debt holders, Park at S&P said. Two developments at Hyundai Motor group companies are a case in point. Hyundai Mobis announced in late February it would return 2.6 trillion won ($2.3 billion) to shareholders via steps including dividends and share buybacks. Its debt score was cut by S&P to BBB+ from A- in October last year. Hyundai Motor said that even after its rating downgrades in late 2018, it intends to continue to boost returns for stock owners to narrow the gap with global peers. A notable increase in shareholder payouts and investments by the two companies would erode their cash balance, making them more vulnerable to ratings cuts, S&P said in a Feb. 28 statement. SK Innovation’s BBB+ rating outlook was changed to negative from stable by S&P in January due to aggressive spending including on payouts to stockholders. The company spent 1.9 trillion won on share buybacks and dividends last year and S&P said higher dividends will likely pressure its cash flow. Hyundai Motor and Hyundai Mobis declined to comment. SK Innovation hasn’t decided on specific plans for a shareholder return policy, including the size of dividends, according to a spokesman who asked not to be named. The company plans to secure the soundness of its finances while considering an increase in its capital expenditures, he said.